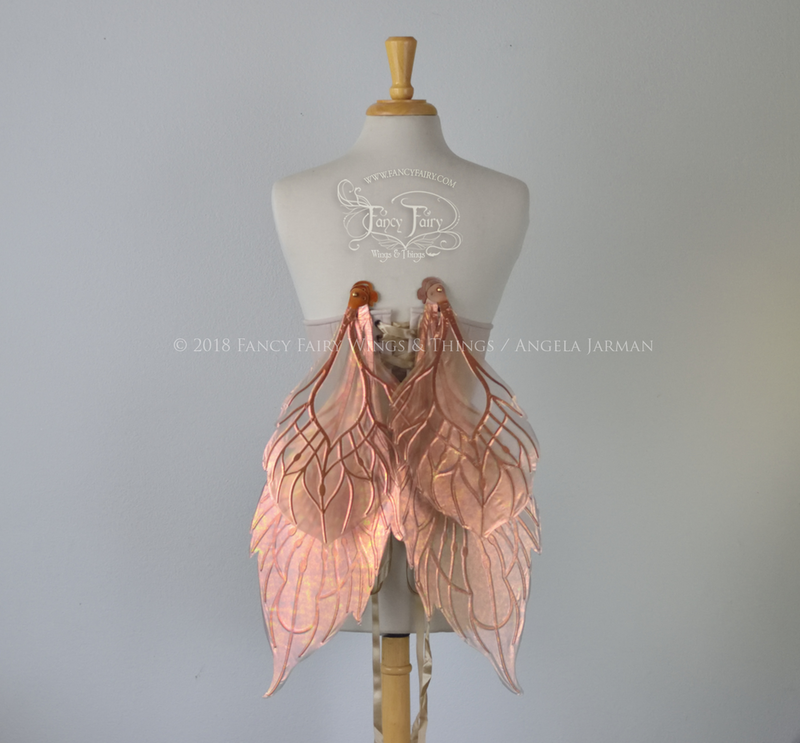 The Fauna wings posted Monday will be available along with these Sintra convertible fairy wings in Rose Gold with copper veining, this Saturday at noon Pacific Standard Time. 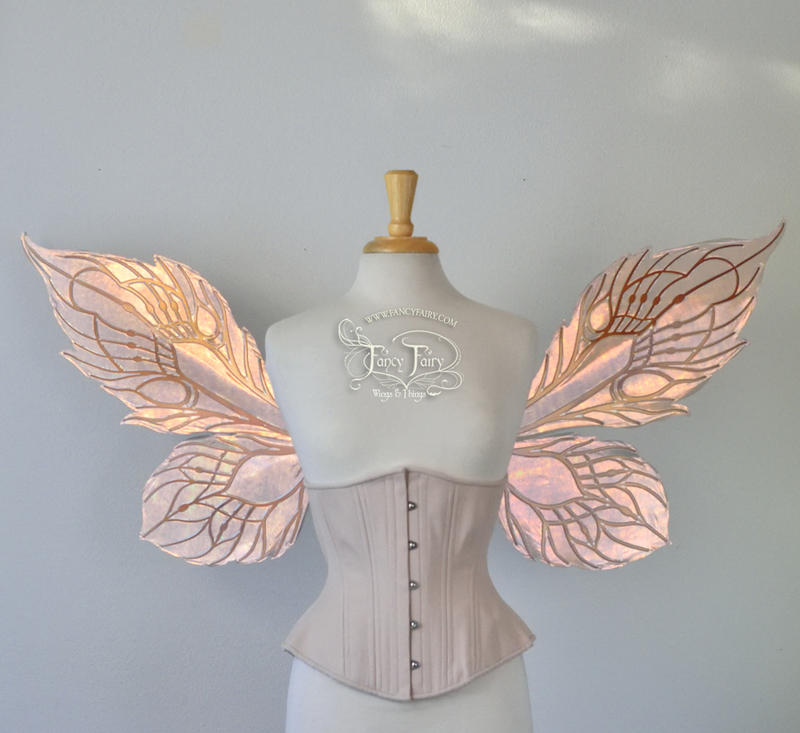 I’ll have more to show you tomorrow, though it will be another small sale so again I’m going to limit each customer to no more than 2 wings for the first half hour. 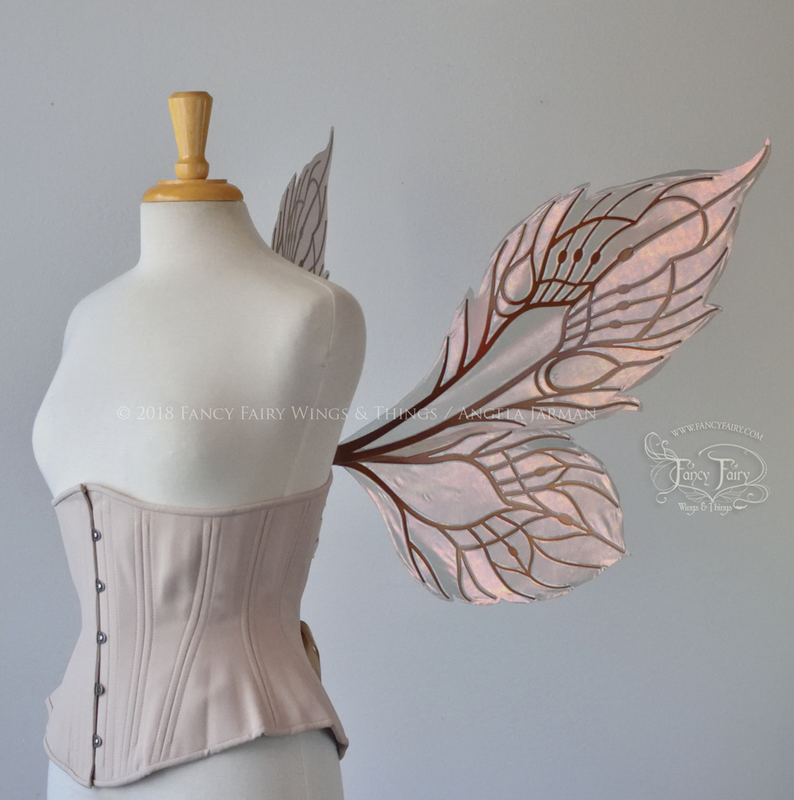 In case you’re new here, the 2018 Ethereal collection of fairy wings are convertible. 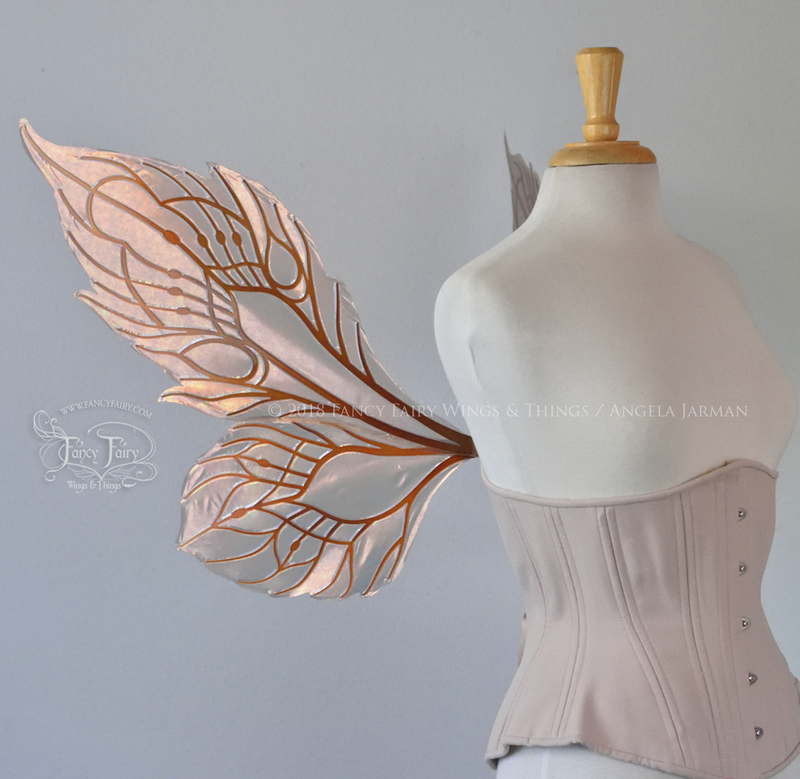 The panels attach to the brace via screws and nuts, to rotate the wing panels down to resting position you simply remove the bottom screws and loosen the upper one to allow the panels to swing down.